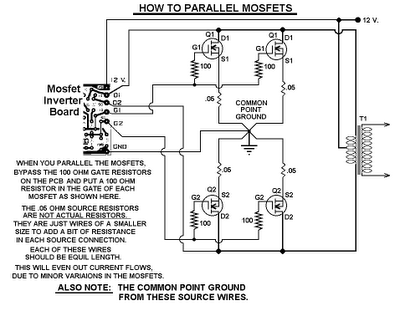 This 1000 watt power inverter circuit diagram based on MOSFET RF50N06.If you want more power then add additional MOSFET paralleled at RF50N06.This MOSFETS are 60 Volts and 50 Amps as rated. 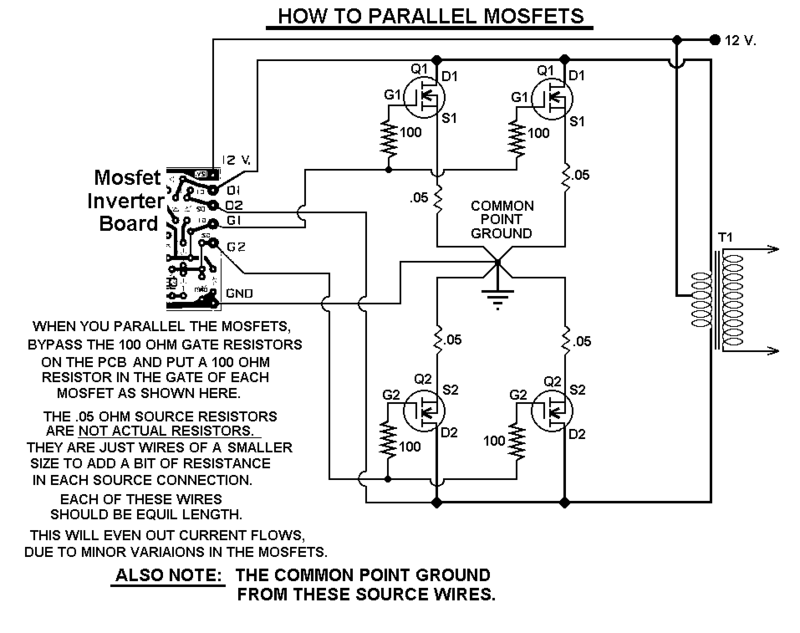 It is necessary to connect a FUSE with the power line and always a LOAD have to connected while power is being applied . The output power of this inverter is up-to 1k watt , it depends on output power transformer . You can use your custom transformer with experimenting for best result.